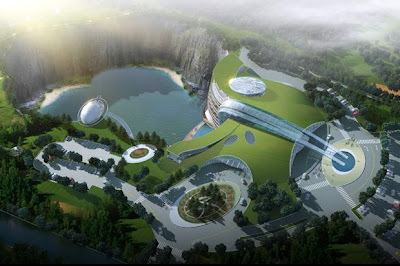 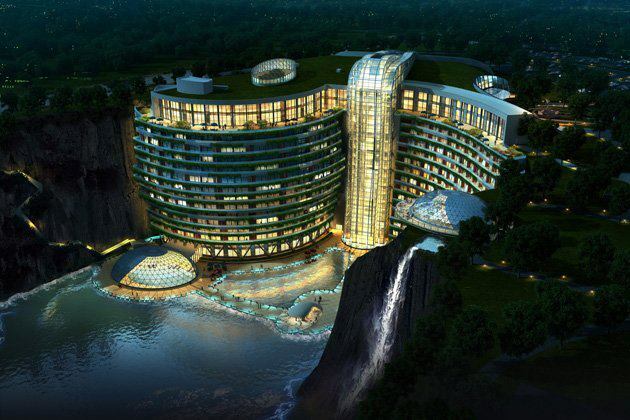 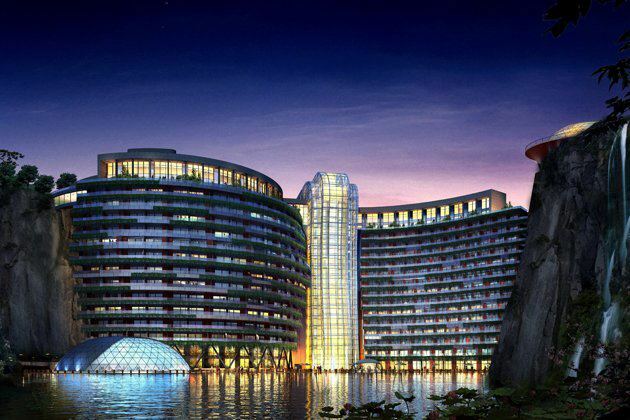 Songjiang Shimao Hotel is a resort that includes extreme sports facilities, visitor center and a five-star luxury hotel with some levels of the hotel situated under water. 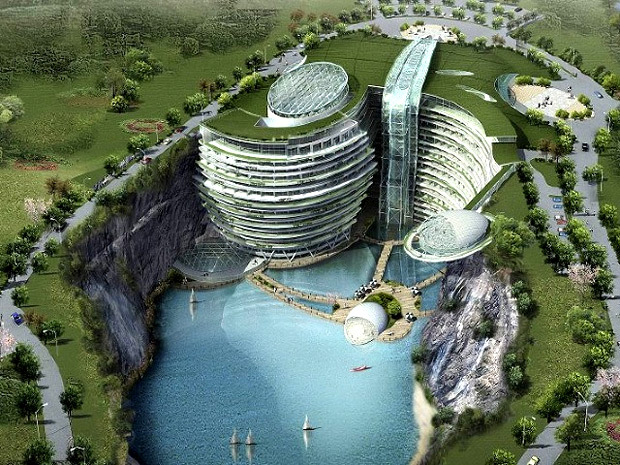 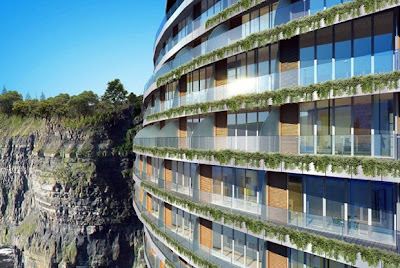 The unique resort is being built into an abandoned, water-filled quarry. A naturally-lit internal atrium incorporates the existing rock face, with its waterfalls and green vegetation. 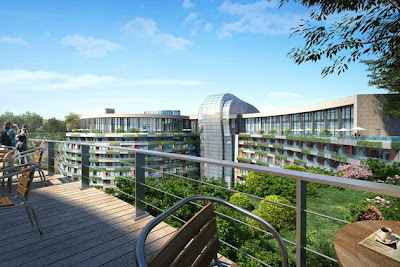 The design solution for the resort includes the use of green roofing and exploiting the site’s geothermal heat to generate electricity and heating. 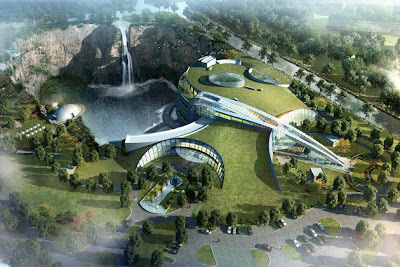 Atkins is providing the architecture, structural and civil engineering services for this leisure resort in China. 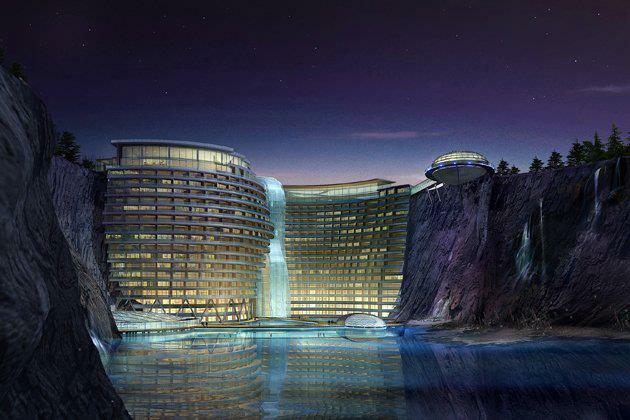 The resort includes extreme sports facilities, visitor centre and a five-star luxury hotel with some levels of the hotel situated under water.